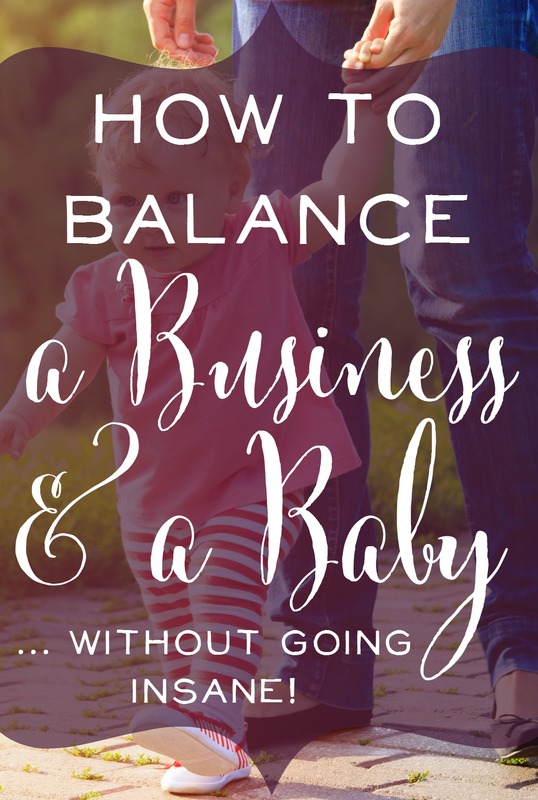 How to Balance a Business & a Baby... without going insane! 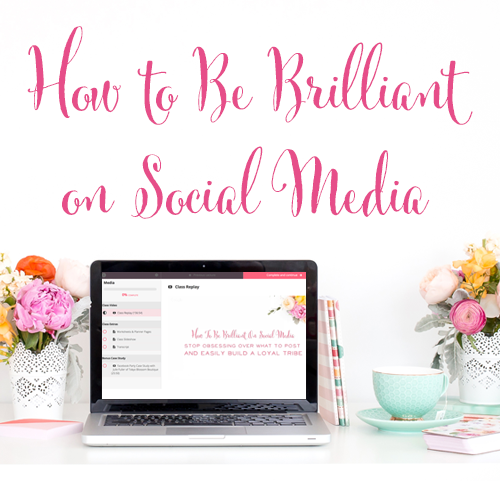 This blog post was inspired by our Blab with Crystal Paine of Money Saving Mom. Members of our audience hopped on video live and had the chance to ask her anything! 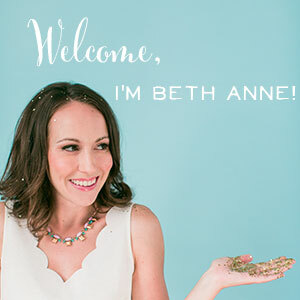 She gave excellent advice on what to do when blog traffic is slow, monetizing your top blog posts, and how to earn passive income. Crystal responded that she has definitely felt this way in the past. She shared some great thoughts with Victoria, and we combined those with our own tips for balancing a baby and a business. It's not for the faint of heart, that's for sure! Own your role as a work-at-home mom. You're not a stay-at-home mom, and you're not a work outside the home mom. Your role is different, and you have to own the fact that you don't fit into those other categories. Your life will look different from those women. Your calling is what makes you legit. You don't have to look like someone on the cover of INC magazine. The fact that you're doing the important work you're called to do makes you 100% legit. And when you haven't had a chance to shower on a given day, be thankful for an audio-only call that you can do in your pajamas. Imperfect = Beautiful. Working with a baby beside you makes things messy and imperfect. There's spit up, fewer showers, lots of tears (baby's and yours! ), and that's ok. Give yourself grace and do the best you can. And remember that being able to work at home with your baby is a beautiful thing. You get to be there with your baby day in and day out. There's a huge blessing sitting right in the middle of the craziness. Recognize that you can't do it all. Crystal said when her youngest was about 2 years old, she realized that while she was working nearly full-time hours each week on her business, she was still acting like she was a stay-at-home mom. She was making things from scratch, volunteering, keeping the house perfect, and seeing lots of friends… on top of working many hours on her business! A work outside the home mom wouldn't have time for all of those extra things, and Crystal realized that she didn't either. The beauty is she can decide how she wants her life to look, but there's no world in which one woman can do it all. Delegate and Streamline. With the realization that you can't do it all comes another realization: there's still a lot that simply has to be done! Learn to delegate those tasks that aren't part of your top priorities to others. Hire help – whether that's for your personal life or your business. Trade services or babysitting with a friend. And be willing to cut things out of your life that simply aren't the best for you and your family in this season. Create a list of little to-do's. Working at home with a baby means that there aren't often long stretches of peace and quiet to get work done. Work happens in the tiny margins and bits of time between your baby's schedule. Katie Clemons has a system for using these pockets of time well and making every minute count. She has a running to-do list on an excel spreadsheet that's full of tiny little, minutes-long tasks. So when her baby is happily playing for a few minutes, she can hop and and tackle the next item on her list without wasting time wondering what to do next or getting distracted by something else. Reserve naptime for your most important task of the day. Whether your baby naps for 20 minutes or two hours, chances are this is the largest chunk of uninterrupted work time that you'll have during your day. Write down your top priority for the day early in the morning or the night before, and work like crazy during nap time to complete that task. Compartmentalize, when possible. 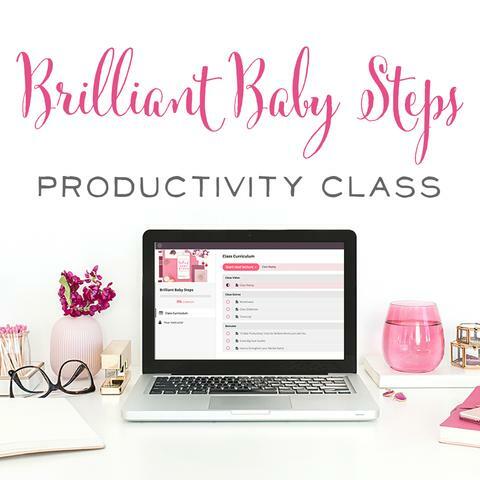 Crystal uses this strategy quite a bit to keep her business and family life balanced, but she recognizes that this is much more challenging with a baby at home. But when possible, spend work time doing nothing but work. Spend baby time doing nothing but enjoying that sweet baby of yours. If it's break time, give yourself a true break. Most importantly, cut out all the little unimportant distractions that come up during your day that can sap you of energy and make you feel like you've accomplished nothing. Maybe it's social media, email, or answering the phone throughout the day. Whatever those things are for you – compartmentalize them too and tackle them all at once. Set aside a designated work space. We learned a great tip from Christy Wright: It's much easier to focus just on work when you have a designated work space to call your own. I know I get much more done when I'm all set up at my little corner of the dining room table, and not staring at Holden's messy room or the dishes in the kitchen. Use that work space just for work. Get yourself into the right frame of mind. You can even tack up your top priority for the day and other to-do's within that work space. And, if all you have room for is a corner of the closet, that's ok too! Just create a space you can call your own that's ready to go with your computer and other work materials. Give your baby quality time first. Most children are much more content if they feel like they've gotten their parents' full attention for a time. It can be hard to turn off that business brain, but your kids need you to be present. Investing in them is not only important (we all know this!) but an added bonus is that they'll often play happily on their own after they've gotten enough “Mommy time”. Note: I certainly can't speak for every child on this one! I know that my little boy Holden is so much more content after getting his love cup filled by Mom and Dad with quality play time and fun. Create a special collection of fun activities. Having a basket of fun things to do that only comes out when Mom is at work can be really effective! This will look different for a baby, but there are still fun activities or new toys that can be set aside for work time. Rachel Coley of CandoKiddo has two great books on easy and fun developmental activities you can do with your baby. Create a boredom bowl. Again, this might work better for older kids, but you can start with your baby by creating a list of great activities for you to turn to when the baby is restless. If you're anything like me, it's often hard to think of something engaging on the fly, but by sitting down and brainstorming lots of new ways for your baby to learn and play, you'll be ready to go when your standard tricks just aren't working anymore. Be Flexible. No matter how many systems you put into place or how brilliant your plan is, inevitably your baby will have other ideas! Don't be afraid to drop your work and take your baby for a walk on a sunny day. The beauty of working at home is the flexbility it provides. You certainly don't want to drop hours of work every day, but sometimes it just makes sense to set the work aside and pick it up later in the evening or the next day. Remember your “why” for working at home. Savor your Days. 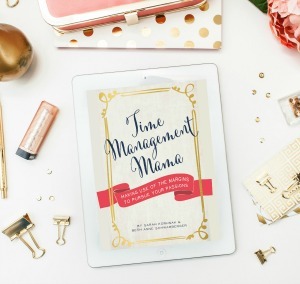 Sarah shared a wonderful idea in Time Management Mama, her friend Diane takes a few minutes when she crawls into bed to think about something her kids and husband did that day that was special, funny, memorable. Doing this helps Diane to appreciate her family and savor the wonderful things that are happening each day. In the midst of being crazy busy, there are all sorts of beautiful moments to enjoy. Let's savor them! What do you think? Have you tried all the tips on this list? 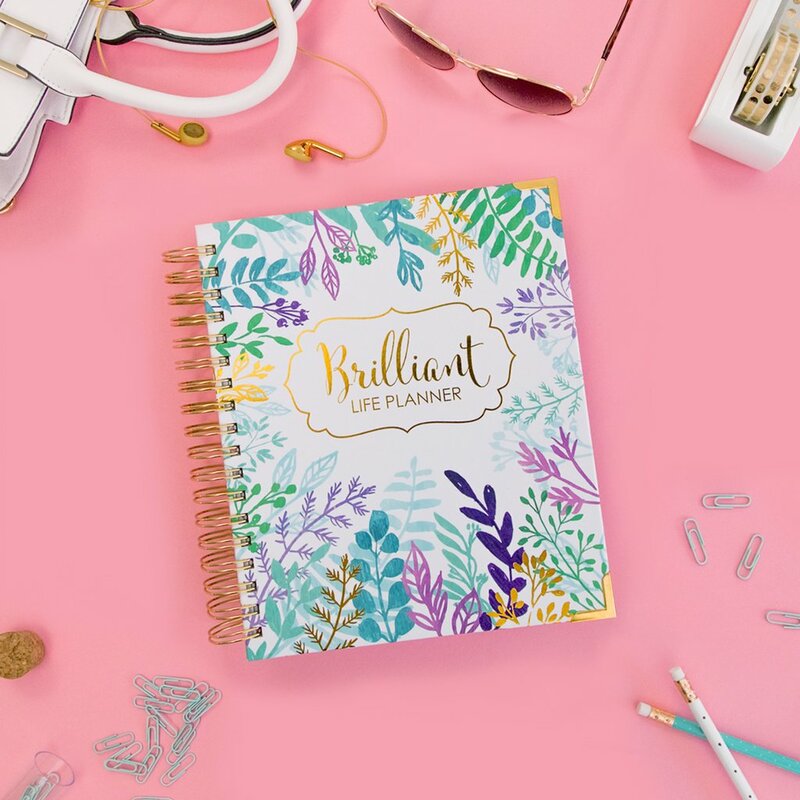 I know it's easy to look at posts like this and think, “I've done it all, and I'm still feeling overwhelmed!” If that's you, take some time to write down what your day looks like, then write down what you'd like it to look like. Finally, write down all of the stressors that have you feeling overwhelmed. What can you fix or adjust? Oftentimes, just writing out a plan and creating a few new solutions for yourself can make a world of difference! How are you balancing a baby and a business? 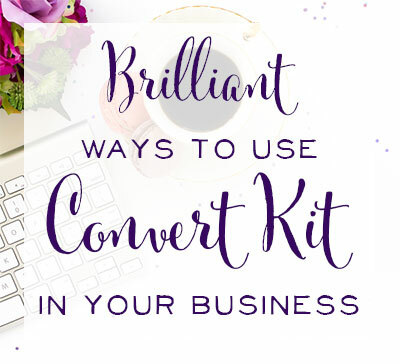 I'd love to hear your best tips in the comments! Trying to get healthy? You'll want to hear this episode!